Get PAID to buy milk and eggs! You are here: Home / online shopping / Get PAID to buy milk and eggs! 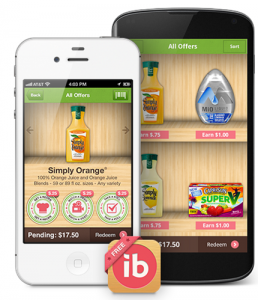 Ibotta has added two HOT new offers! You can get cash back for buying milk and eggs! You pretty much never see coupons for these two staples, so this is a great deal! 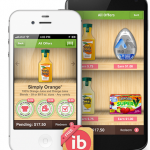 If you’re not familiar with Ibotta, it’s a Smartphone app that allows you to earn cash back for purchasing certain products. It even works at places like Sam’s Club, where they don’t normally take coupons, at restaurants like Chili’s and Subway, and it even works at the movie theater! Last year, I earned $133 for my purchases, so it really works and it adds up quickly! Buy any brand milk (excluding flavored and non-dairy varieties) and earn $.50 cash back PLUS when you buy milk and redeem two other offers, you will get an additional $1 bonus! 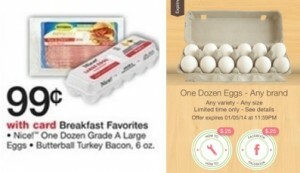 Check out this SUPER HOT deal on eggs that you can get at Walgreens today only! Final Price = $.49 after cash back and sale! Get PAID to buy milk and bread! Get PAID $3 to buy milk! 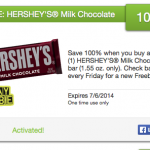 Earn cash back for buying ice cream and milk!